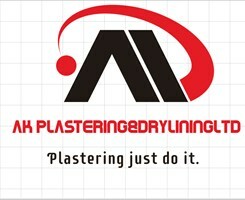 A K Plastering & Drylining Ltd - Plasterer based in Reading, Berkshire. AK Plastering and Construction is a small collective of plasterers, based in Reading, with 20 years' of experience. We cover all aspects of the plastering and rendering trade including. We pride ourselves on our friendly attitude, cleanliness and high standards of quality. If you need any of these jobs to be done on your house please don’t hesitate to give me a call at any time thank you.